Intestine – What to eat and Why? The intestine is of prime importance to the digestive system. 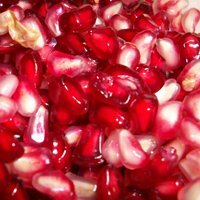 The simple, inexpensive and yet effective way for healthy intestine is to consume apple and pomegranate. Reduces intestinal-inflammation and oxidants and enriches the blood. It has many cancer-fighting benefits as studied by many scientists. According to the Memorial Sloan-Kettering Cancer Center, the concentrated amount of antioxidants in pomegranate juice inhibits the progression of prostate and breast cancer. It also increases food metabolism and aid against recurring diarrhea and constipation. It works as an astringent within the digestive tract. In addition to this, pomegranate is also helpful in iron deficiency anemia as it contains a significant amount of copper, as cells absorb iron with the help of copper. It helps in curing both diarrhea and constipation. Apple has many benefits as it contains vitamin A, C and folates as well as minerals include potassium and phosphorus. It prevents heart diseases as it has sufficient amount of flavonoids. It also benefits in cancers like colon cancer, prostate cancer, breast cancer. It is also helpful in maintaining the cholesterol level. Apple can be consumed raw, cooked, as an apple sauce, juice but without additional sugar. No matter how it is consumed, it helps in cleansing the bowel, to lower high Blood pressure, detoxifying the liver.